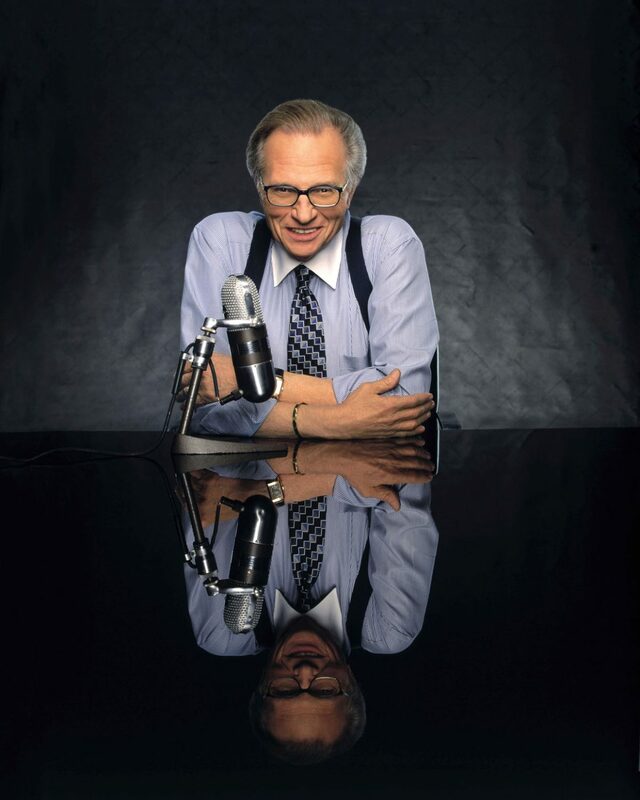 Larry King turns 85 on Nov. 19, and his career in front of a microphone turns 61 on May 1. He has conducted more than 50,000 interviews – getting to know the thoughts of athletes, movie stars, musicians, millionaires, politicians and presidents all while wearing his iconic suspenders. His father died of a heart attack when Larry was just 9½ years old. Larry didn’t go to college; after high school he worked odd jobs to help his mother out. He always held on to his dream of working in radio, so when someone suggested he check out the possibilities in Florida, he jumped at the chance. In 1957, he got a job at radio station WAHR (now WMBM) in Miami Beach “doing everything” from being a disc jockey in the morning to announcing sports in the afternoon. He was on the air for about two years when he was approached to do Coffee Talk at Pumpernik’s local restaurant. The restaurant owner wanted an interview show done on site, so Larry did an hour-long show every morning after his gig at the radio station. After leaving CNN, Larry did a comedy tour, sharing memorable stories from his lengthy career, but he quickly realized that he missed being on the air. “When Osama bin Laden was killed, that night I wanted to run somewhere and do a show – but I didn’t have anywhere to run,” he says. Larry would soon have somewhere to be “on” again, befriending Mexican billionaire Carlos Slim who helped finance Ora TV, a television production studio and on-demand digital network that launched in 2012. CEO Jon Housman came up with the name Ora, which is Larry’s wife, Shawn’s, middle name. 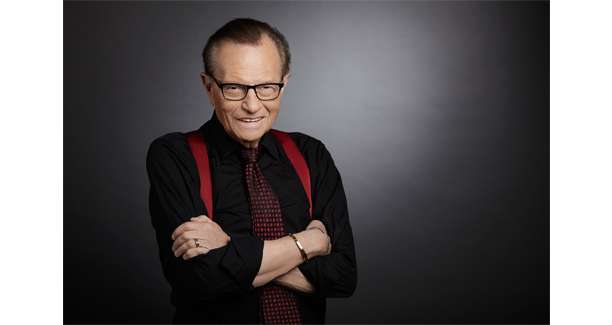 Larry hosts two shows on this new platform, “Larry King Now” and “Politicking with Larry King.” “I’m still doing what I did back many, many, many years ago. I’m just transmitted differently,” says Larry. Shawn’s take on why they started Ora is a little different. “We started Ora TV because I was tired of having Larry in the house,” she jokes. The couple’s most recent venture departs from the world of media. “Sleep Like a King” (sleeplikeaking.com) is a line of luxury home goods inspired by their stays at some of the finest hotels in the world. 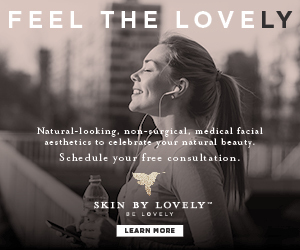 “When you go and stay in a beautiful hotel with great sheets – there’s nothing like it – jumping into bed on beautiful, crisp, high-end, soft sheets,” says Shawn. She explains they are working directly with a manufacturer of luxury bedding, Sobel Westex, so they can offer the same high-end quality bedding to the masses at an affordable price. But Larry is not the only one good at surprises. When the Schnepfs planted their cornfield for the season, they used special technology which allowed them to transform their 10-acre maze into a likeness of the celebrity. Cannon, Larry, Chance, and Shawn King with her father, Karl Engemann at The Magic Castle in May 2016. Two people, two religions – or three? 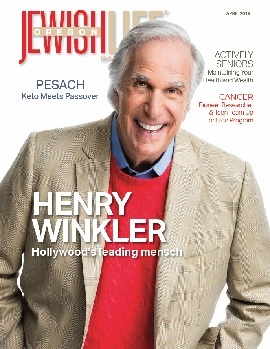 However, he did hold a mock seder this year with Rhett McLaughlin and Link Neal, the creators of the YouTube series “Good Mythical Morning.” “They asked me since they were not Jewish, and they were going to a home where a seder would be conducted, and they wanted a little practice,” says Larry. Despite his lack of religious practice, Larry has been to Israel several times. The two continue their endearing banter back and forth, which is not uncommon for the couple who have been married for 21 years this September. This time the focus was on what Shawn refers to as Larry’s “real religion” – baseball. Shawn goes on to explain that their seats are in the Dugout Club, so they have access to a buffet before, and during, the game. 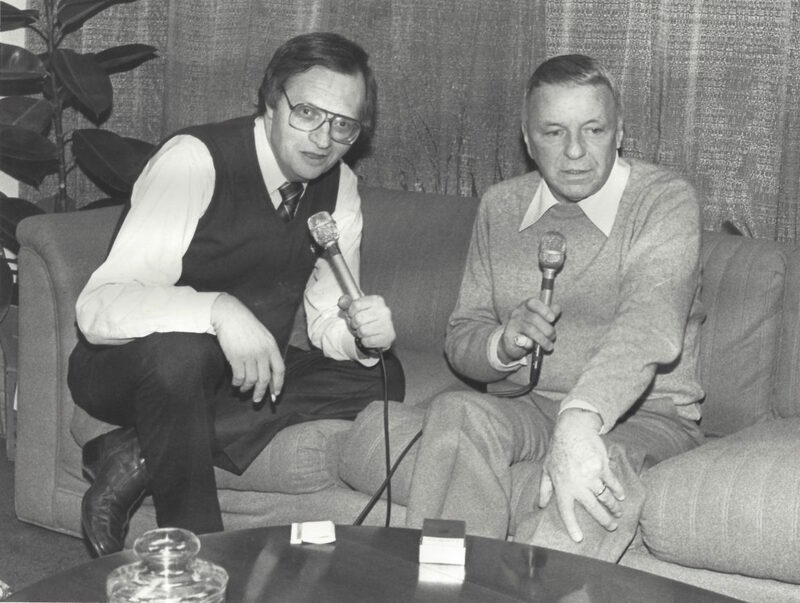 Larry with Frank Sinatra in 1984. It’s obvious that Larry King can rely on his stand-up skills, sharp as ever, to keep him prepared for his next career move.